Pressure is mounting on companies that provide domain name services to alleged pirate sites. 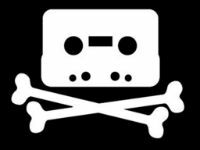 Following in the footsteps of Hollywood and the U.S. Government, the music industry is now demanding strict anti-piracy measures. The EFF, however, notes that companies are not obliged to take action without a valid court order. In recent years copyright holders have demanded stricter anti-piracy measures from ISPs, search engines, advertising networks and payment processors, with varying results. Continuing this trend various entertainment industry groups are now going after companies that offer domain name services. The MPAA, for example, has joined the domain name system oversight body ICANN and is pushing for policy changes from the inside. A few days ago the RIAA added more pressure. The music group sent a letter to ICANN on behalf of several industry players asking for tougher measures against pirate domains. The RIAA’s senior vice president Victoria Sheckler wants the Internet to be a safe place for all, where music creation and distribution can thrive. “… we expect all in the internet ecosystem to take responsible measures to deter copyright infringement to help meet this goal,” she notes. The music groups believe, however, that domain registrars don’t do enough to combat piracy. ICANN’s most recent registrar agreement states that domain names should not be used for copyright infringement, but most registrars fail to take action in response. Instead, many registrars simply note that it’s not their responsibility to act against pirate sites. “We […] do not see how it is an appropriate response from a registrar to tell a complainant that it has investigated or responded appropriately to a copyright abuse complaint by stating it does not provide non-registrar related services to the site in question,” Sheckler writes. In what appears to be a coordinated effort to pressure ICANN and other players in the domain name industry, the U.S. Government also chimed in last week. Law or no law, the entertainment industry groups are not expected to back down. They hope that ICANN will help to convince registrars that pirate sites should be disconnected, whether they like it or not.